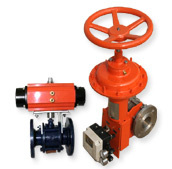 I&S produces 2-Piece Ball Valves available with ISO mounting pad & provided with mounting bracket, couplers for fitting Pneumatic Piston Cylinder with rack & Pinnion actuator & Diaphragm actuator. 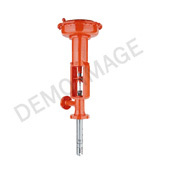 The valves are available with Pneumatic Rotary Actuators, either Double Acting or Spring Return type. 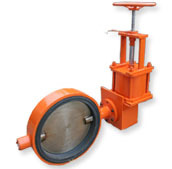 These Pneumatic Operated Ball Valves are also available with various further options. 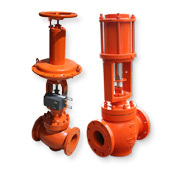 The Ball Valves are designed with mounting dimensions as per ISO 5211. 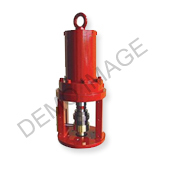 Flanged end valves and face to face dimensions are as per ANSI B16.5 Class 150 (Short Body). Sizes 15MM (1/2”) to 200mm (8”). 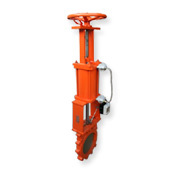 Body and End Piece Investment Casted Cast Steel ASTM A216 WCB or Stainless Steel ASTM A351CF8(SS304) or CF8M (SS316). Leakage Class As per ANSI B16.104 1976:Teflon seating Class VI. Manual operation (Optional) Provision for manual Handlever. 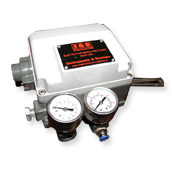 Local position indicator, Rotary Limit switch box, Air Lock Relay Solenoid Valve. Highly reliable, long life, simple construction and maintenance free Ball Valve. For air, water, oil, gas, corrosive Chemicals, Combustion equipment, Power Station, Hydro-Electric, Nuclear Power Generation, Chemicals & Petrochemicals Industries.